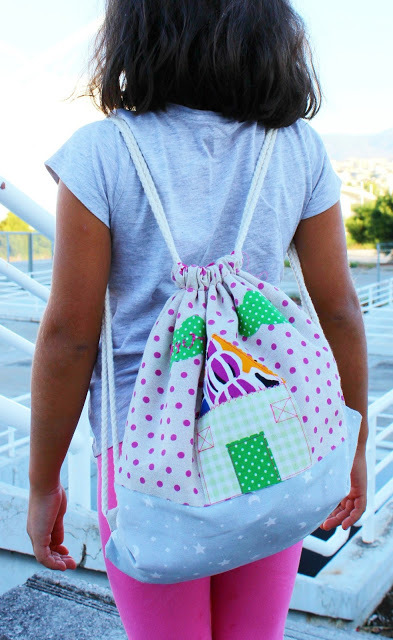 Little house on our handmade backbag! A beautiful gift for your princess made by Dream in Colors! My young princess is now a young lady…7 years old!!!! And you know what this means? She wants my bags, my shoes, my everything! Everytime she says: “Mommy can i get this one and wear it tomorrow at school?” or ” Please save this bag for me when I grow up”! Ok…so why to wait so long? And we solve the problem… her own handmade Backbag with a small world on it from Dream in Colors! This Summer we spend most of the time on Summer Camp. Everyday we were having issues to decide what to wear, what to eat, if we want a small book to carry or what about our water? 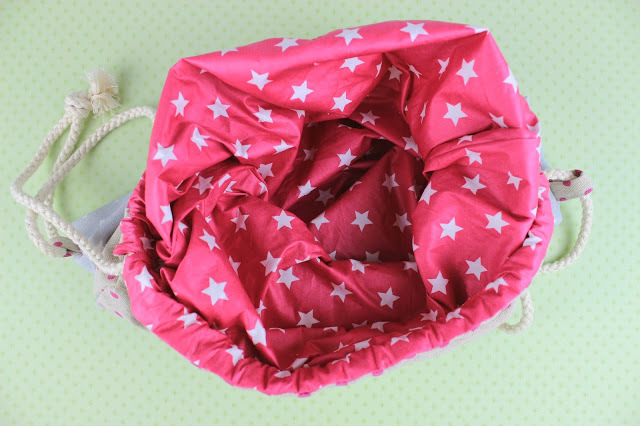 As you may understand, we were in need of a backbag, a small one, perfect for my princess and of course to be waterproof (accidents may happen with the water…)! Dream in Colors and Evgenia was the perfect person to solve my issue! And she did it and the bag is amazing! 2. Choose your favorite fabric or pattern. Actually this was the difficult part of the order. Why? Because I had something on my mind and then Evgenia showed me more amazing fabrics and colors and she actually proposed more patterns and I got confused! But then the decision was made… something with polka dot (yea, it is for my princess …) , something with clouds (her name means Cloud!) 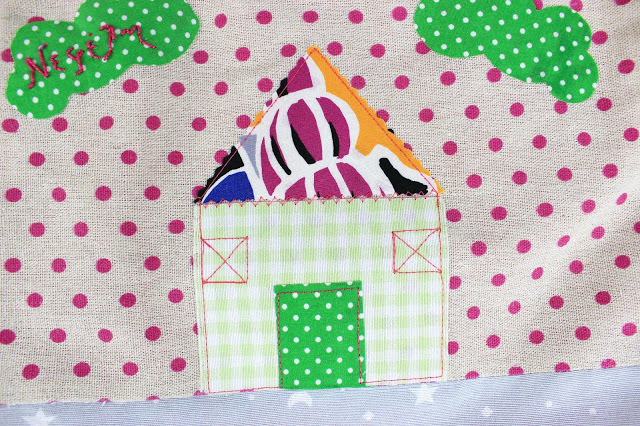 , something with a tiny cute house and of course with her name! 3. Wait for Evgenia to craft it and you are done! And then we got it! and it was simply amazing!!!! 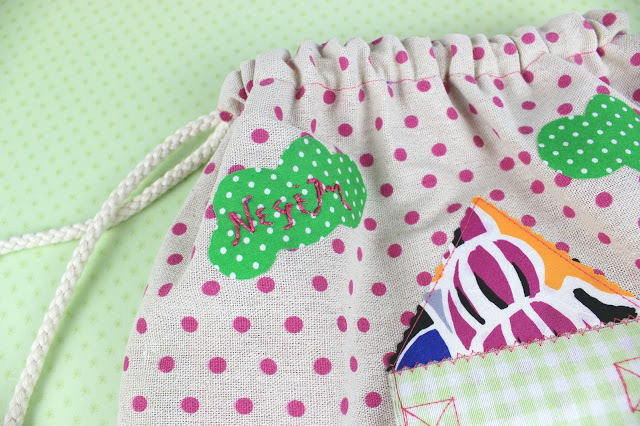 Polka dots and clouds and stars and soooo cute! My princess loved the bag and she carries it every single day! The best thing is that she can carry heavy things too, since the bag is really strong! Because we loved it, we got ne more bag for our best friend’s birthday, but this time with a cute colorful bird on it! Yes, you guess right, I got also something for me. A tiny floral zipper case, perfect for my small bags! 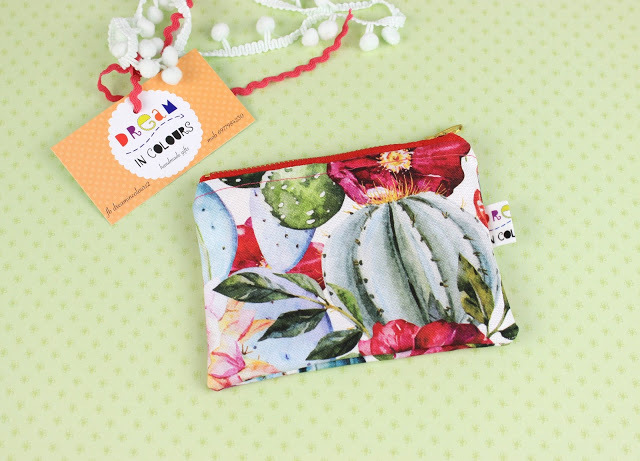 With my favorite cactus on it!!!! 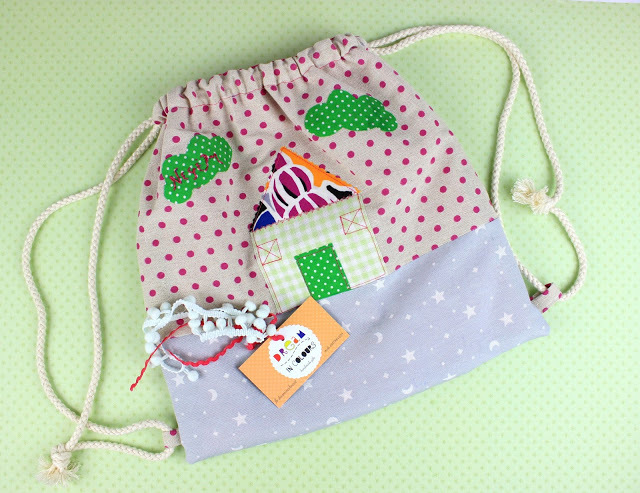 The bags are amazing and it is the perfect idea for birthday gifts. Just spend a few minutes to admire the Dream in Colors collection and choose your favorite one! Happy Shopping!!!! Ζίνα μου, πανέμορφη η τσάντα της πριγκίπισσάς σου. Αγαπώ και το δικό σου νεσεσέρ. Η Ευγενία έκανε άριστη δουλειά, μπράβο της. Θα σου προτείνω όμως κάτι. Μπες στο μπλογκ μου και δες την ανάρτηση για την πανεύκολη tote τσάντα (easiest tote bag ever) και την ανάρτηση για το τσαντάκι (handmade pouch). Είμαι βέβαιη ότι μπορείς να τα φτιάξεις. Δε χρειάζεσαι ραπτομηχανή, φτιάχνονται ακόμη και με το χέρι. Και μετά θα είσαι υπερήφανη για τις δικές σου δημιουργίες! Σε φιλώ, φίλη μου. Σωστη! θα κοιτάξω τις αναρτήσεις σου! χρονο μόνο να βρω αν και πάλι δε θα φτασω το ταλέντο της Ευγενίας!